40 Variations. Composed by Ottakar Sevcik (1852-1934). Bosworth Otakar Sevcik Studies Series. Method. Book Only. Bosworth & Co. #BWH003550. Published by Bosworth & Co. (HL.14029833). Concerto No. 2 en Re maj. These studies present a variety of bowing patterns and bow strokes in tuneful settings and in a variety of keys. 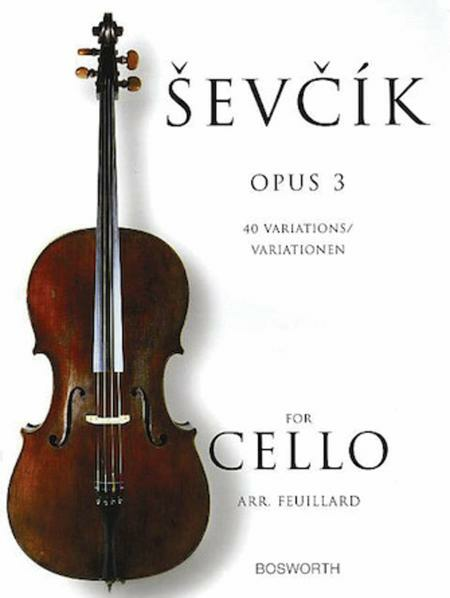 This book is a "must have" for any in-depth cello study. March 08, 2009 Excellent exercises for bowing practice. combinations of staccato and spiccato in difficult string crossings and rhythms. I highly recommend this book.